It is with great enthusiasm that I launch our new non-profit organization with the aim to promote research for all types of body odor. Much hard work on my part as well as on the part of many others in this international community has been put forth to bring this opportunity about. This is the opportunity for us sufferers to take the yet-to-be-discovered solutions of our condition into our own hands by creating a testing and research culture ourselves, since the scientific/medical systems will not do it for us.This is the opportunity for us sufferers to take the yet-to-be-discovered solutions of our condition into our own hands by creating a testing and research culture ourselves, since the scientific/medical systems will not do it for us..
You're invited to visit our MeBO Research's website at meboresearch.com where our Mission, Strategies, Short-term goals, and Long-term goals are explained. Also, please visit our interactive 'Have your say' page, and tell us your story. 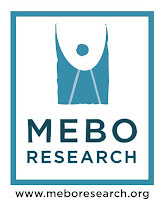 Tell us what you think of the information written on this website, and tell us in which way you would like to participate in helping MeBO grow into a large international organization that seeks results not only for our future but also for the here and now. Please note that this is only the Beta Phase of the website, and would appreciate you notifying us of any bugs or other corrections that need to be made....tell us in which way you would like to participate in helping MeBO grow into a large international organization that seeks results not only for our future but also for the here and now. The alternative is to maintain the status quo, i.e., waiting for the scientific / medical system to come up with significant funding and research for us on its own initiative, which is a very unrealistic possibility.